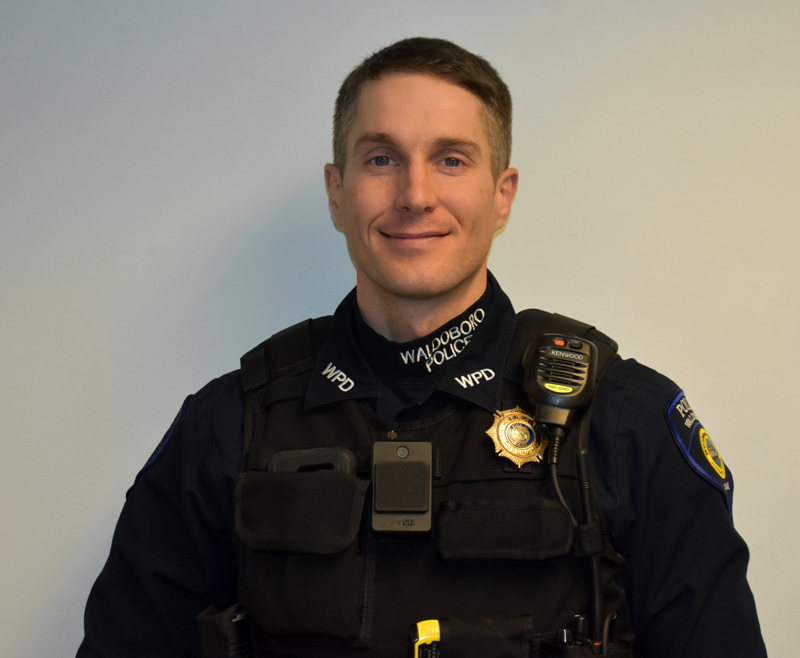 Lash has six years of experience as a full-time patrol officer in Waldoboro, as well as part-time experience as a patrol officer in Waldoboro and a sheriff’s deputy in Knox County. He is working on a new program of community policing for the department, emphasizing public education as a means of positive interaction with the community. “I think there is some misunderstanding about what we can do and can’t do as police officers and public education could benefit the community,” he said. The town’s issues with addiction and poverty have been a topic of discussion at recent selectmen’s meetings. Lash said he recognizes the impact of addiction in the community and the department will continue to participate in the twice-weekly Lincoln County Outreach meetings at the Veterans of Foreign Wars hall. “Opioid addiction is the biggest problem. For too long it has been taboo, but the state now classifies it as a mental health issue … When it’s a problem, tell us and we will get them help,” Lash said. Lash said the meetings at the VFW provide law enforcement with an opportunity to interact with people with addiction in a nonconfrontational manner. “We are not there to bust anybody. We are there to show we care and want to help,” he said. Lash said one adjustment that has come with his new job is going from the night shift to a daytime schedule. “I went from patrolling, working nights and responding to calls, to working out in the community. It’s a big change but I really enjoy interacting with community members,” he said. An initial challenge will be to hire officers to fill two full-time vacancies at a time when departments around the state and nation are struggling to recruit and retain officers. The department normally employs seven full-time officers, but has five right now. 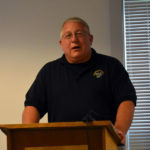 Lash said the town is going through the hiring process for the two open positions and encouraged any potential applicants to contact him for more information. 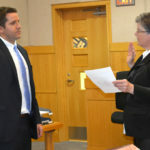 Lash thanked the town staff for helping him learn the administrative and managerial tasks associated with his new position as a department head. “It’s been a learning experience going from police work to administration, reviewing the budget, policy rules, and training. It’s a lot more work. I’m responsible for five guys instead of one,” he said. Lash said he always wanted to work in law enforcement. As a kid, he heard stories from his father, Richard Lash, a former reserve deputy in Knox County, and family friend David Lyons, formerly of the Maine State Police. 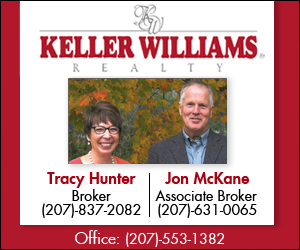 Born and raised in Friendship, he attended Friendship Village School and A.D. Gray School in Waldoboro. He graduated from Medomak Valley High School in 2001. He graduated from Thomas College in Waterville with a bachelor’s degree in criminal justice in 2005. His first experience as a police officer was during and after college, as a reserve officer with the Waldoboro Police Department and a reserve deputy with the Knox County Sheriff’s Office. In addition to his part-time work in law enforcement, he worked in construction in the Midcoast. 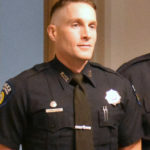 He got his opportunity in 2012, when he was living in Waterville and a full-time position opened with the Waldoboro Police Department. “I wanted to come back to the coast, Waldoboro had an opening, and I thought there was no better time than now,” he said. Six years later, he is grateful for the new opportunity to serve as police chief – and a little surprised. A search committee of two selectmen, the fire chief, and three residents unanimously recommended Lash from among six applicants and three finalists, according to Town Manager Julie Keizer. 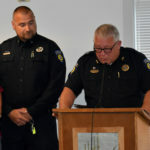 He officially became chief during a swearing-in ceremony at the town office Oct. 30, succeeding former Police Chief William Labombarde, now the department’s school resource officer. Lash’s first day of work as chief was Nov. 1. He is excited by the opportunity to work as chief in the community where he grew up. He said there are benefits and challenges to such a position, but he believes the positives outweigh the negatives. 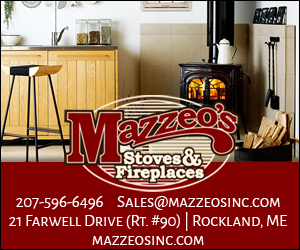 “I’ve received a lot of positive feedback. I think people enjoy having someone from the area,” Lash said. Lash now works next door to his father, as Richard Lash is the director of Waldoboro Emergency Medical Services. The Lash family’s roots in Waldoboro go back to the mid-18th-century immigration of Casimir Lash, one of the original German settlers of what would become Waldoboro. The new chief has a large family in Friendship and Waldoboro. His grandfather, Douglas Lash, founder of Lash Brothers Boatyard in Friendship, had 13 siblings. Lash said Douglas Lash and his brother, Winfield Lash, a lobsterman, switched jobs after each found himself better suited for the other’s work. When not on duty, Lash, a self-described “gym rat,” likes to work out and spend time outdoors. “I like going camping with the family, anything outdoors, cross-country skiing and snowshoeing in the winter,” he said. A favorite camping spot for the family is Baxter State Park.